Nigel qualified as a farrier after completing his apprenticeship with Wayne Upton AFCL in 1997. Having gained valuable experience shoeing a large variety of horses, Nigel returned home to South Wales to set up his own business. In 2004 Nigel gained the Associateship of the Worshipful Company of Farriers (AWCF). This examination concentrates on therapeutic and remedial farriery as required by the equine veterinary surgeon in everyday practice and involves the use of alternative materials such as plastics therefore demanding a very high standard of technical competence which is reflected in a detailed syllabus. Farriers gaining this qualification have passed a written test, made and fit a therapeutic shoe and carried out advanced farriery procedures as required when working with a veterinary surgeon. A regular at shoeing and shoemaking competitions both within the UK and abroad, Nigel utilises this opportunity to constantly evaluate and improve his forging and shoeing skills which is reflected in his every day work. Nigel has won and been placed in many competitions, notably winning the UK National Farrier Championships in 2013 and being placed 3rd in the European Championships in 2012. He has also won the WCF Best Shod Horse Award at the Festival of British Eventing at Gatcombe and other venues. Nigel is a regular member of the Welsh International Shoeing Team. An active participant in ‘Continuing Professional Development’ (CPD) activities, Nigel regularly attends clinics, demonstrations, conferences and training days to ensure his knowledge is broad and current. 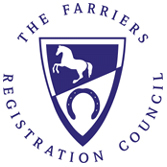 Farriers are encouraged to gain 10 ‘CPD’ points a year and Nigel exceeds this every year. A regular author of farriery articles for equine and veterinary publications Nigel also gives lectures to horse owners and the local Pony Club and Riding Clubs in addition to assisting other farriers in progressing their shoeing and shoemaking skills and in preparation for their Associate examination. In March 2011 Nigel become the 17th farrier in the country to receive the ‘Master Farrier’ award from the Worshipful Company of Farriers. This award is granted to farriers that hold the Associateship or Fellowship of the Company and have been proposed by a Fellow and a Veterinary Surgeon, one of whom must be a Liveryman. Nigel’s passion for the profession is as evident today as when he first began his training. He considers himself extremely lucky to look forward to going to work every day!